My dogs are always ready for a walk and they don’t care if it’s well past sundown. That might be 6 o’clock on a winter evening or 10 p.m., after the heat lets up, on a summer night. But after-dark excursions require some form of illumination. We have a couple of old collars with built-in lights but they don’t shine very brightly and the batteries need to be frequently replaced. I would feel much safer if they were wearing the HALOB collars from the Halo Lights Company. 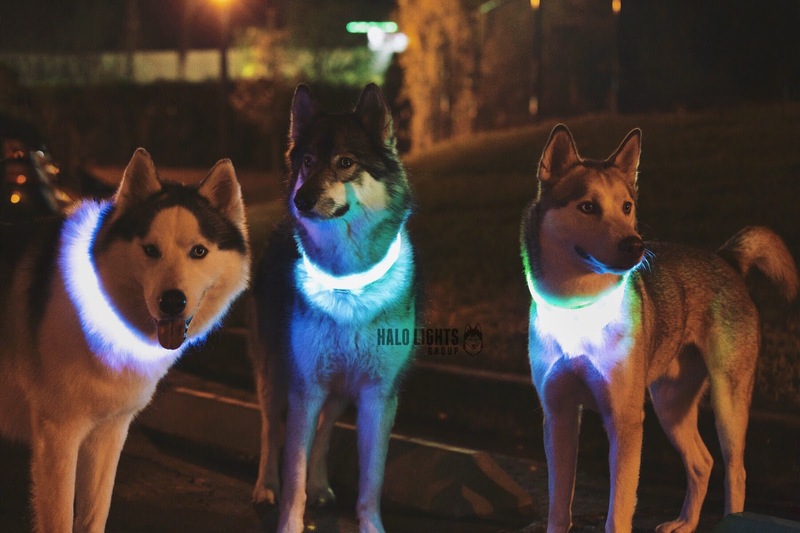 Halo makes an LED dog collar that may well be the best LED dog collar on the market. It gives off a bright, colorful light from a rechargeable battery. The light is strong enough that I would let them go off lead in a controlled area because I would be able to keep them within view. The HALOB collars come in a variety of lengths and can be cut to fit a variety of neck sizes. And when your dog isn’t using it, the collar can be a good safety measure for a sundown jog or bike ride. There’s a full lineup of collars on the Halo Lights website where prices start at $24.49. To see the collar in action, watch the video below and check @halo_lights on Twitter.